Your website is only going to work if people find it! Our website submission service automatically submits your website to 66 popular search engines for you. 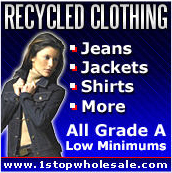 All of your printing needs provided by America's largest and most reasonable printer. All of your printing needs! Aim Funding, one of the country's largest consolidators of credit card processing offers you low interchange rates and welcomes your mailorder, phone order or retail business. Book all of your business and personal travel at large discounts using Apollo Travel's automated easy-to-use search engines. All types of travel can be booked on this powerful site. 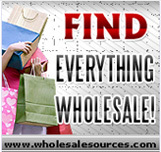 Find all types of wholesale merchandise by using this easy-to-navigate on line wholesale search engine. Select from all newsstand magazines, both business and consumer, and subscribe at special discounted rates for all Forum Publishing clients. Specialists in small and mid size businesses, FBA can assist you in starting, expanding or turning around your business. Contact us today to discuss how we can assist you.